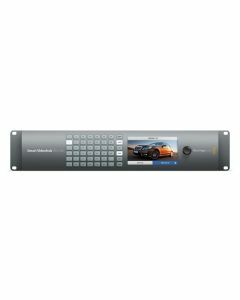 SDI Video Input: 40 x 10-bit SD-SDI, HD-SDI and 6G-SDI. Router Control: 40 buttons for local control of Videohub. 6 buttons and scroll wheel for control of LCD display or RJ45 Ethernet. Router Configuration: Via front panel LCD or RJ45 Ethernet. USB for firmware updates and IP address setting only.